SHANGHAI, Aug. 28, 2014 /PRNewswire/ — Semiconductor Manufacturing International Corporation (“SMIC”; NYSE: SMI; SEHK: 981) one of the leading semiconductor foundries in the world, announces the unaudited interim results of operations of the Company and its subsidiaries for the six months ended June 30, 2014. Sales was US$962.4 million for the six months ended June 30, 2014, compared to US$1,042.9 million for the six months ended June 30, 2013. The decrease was primarily because there had been no wafer shipments from Wuhan Xinxin Semiconductor Manufacturing Corporation (“Wuhan Xinxin”) since the first quarter of 2014. Gross profit was a record high of US$239.2 million for the six months ended June 30, 2014 representing an increase of 2.4% compared to US$233.5 million for the six months ended June 30, 2013. Gross margin improved to 24.9% for the six months ended June 30, 2014 from 22.4% for the six months ended June 30, 2013. Profit from operations was US$87.8 million for the six months ended June 30, 2014 (of which US$7.6 million came from the gain on disposal of property, plant and equipment and assets classified as held-for-sale), compared to US$130.5 million for the six months ended June 30, 2013 (of which US$53.3 million came from the gain on disposal of property, plant and equipment and assets classified as held-for-sale and gain on disposal of subsidiaries). 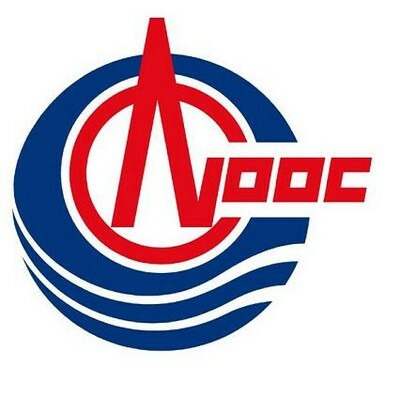 HONG KONG, Aug. 28, 2014 /PRNewswire/ — CNOOC Limited (the “Company”, NYSE: CEO, SEHK: 00883, TSX: CNU) today announced its interim results for the six months ended June 30, 2014. For the first half of the year, the Company’s total net oil and gas production reached 211.6 million barrels of oil equivalent (BOE), up 6.8% year-on-year (yoy), with 36.3 million BOE contributed by Nexen. The Company’s average realized oil price was US$106.30 per barrel in the first half of 2014, representing an increase of 2.0% yoy, while average realized gas price rose 13.5% yoy to US$6.44 per thousand cubic feet. Benefited from the growth of net oil and gas production and increase in realized oil and gas prices, the Company recorded RMB117.1 billion in oil and gas sales revenue, a yoy increase of 5.7%; meanwhile, net profit fell 2.3% yoy to RMB33.59 billion. In the first half of 2014, the Company’s all-in cost was US$43.20 per BOE, up slightly by 2.0 % yoy, while operating cost was US$11.78 per BOE, up 7.0 % yoy, mainly attributable to the consolidation of two more months of Nexen’s performance. In the area of exploration, the Company made 9 new discoveries and 23 successful appraisal wells. Among them, Lingshui 17-2, discovered by “Haiyangshiyou 981”, was successfully tested and is expected to become the first large-sized deepwater gas field made by our independent exploration activities. While Luda 16-3 South structure is expected to become a mid-sized discovery after appraisal, Kenli 16-1 structure uncovers the good exploration potential of southern slope of Laizhou Bay Sag in Bohai. Kenli 3-2 oilfields, Panyu10-2/5/8 project and Wenchang 13-6 oilfield have commenced production within the year as scheduled while other projects are progressing accordingly. During the period, the Company continued to advance the integration of Nexen, especially in the areas of management, resources development and corporate culture. Nexen’s safety and environmental protection achieved best performance in its history in the first half of 2014. Production efficiency of Buzzard oilfield in the UK North Sea was further enhanced, while production and operation of Long Lake oil sands project achieved significant improvement. The progress of integration reached the Company’s expectation. In the first half of the year, the Company’s basic earnings per share reached RMB0.75. The Board has declared an interim dividend of HK$0.25 per share (tax inclusive). This press release includes “forward-looking statements” within the meaning of the United States Private Securities Litigation Reform Act of 1995, including statements regarding expected future events, business prospectus or financial results. The words “expect”, “anticipate”, “continue”, “estimate”, “objective”, “ongoing”, “may”, “will”, “project”, “should”, “believe”, “plans”, “intends” and similar expressions are intended to identify such forward-looking statements. These statements are based on assumptions and analyses made by the Company in light of its experience and its perception of historical trends, current conditions and expected future developments, as well as other factors the Company believes are appropriate under the circumstances. However, whether actual results and developments will meet the expectations and predictions of the Company depends on a number of risks and uncertainties which could cause the actual results, performance and financial condition to differ materially from the Company’s expectations, including those associated with fluctuations in crude oil and natural gas prices, the exploration or development activities, the capital expenditure requirements, the business strategy, whether the transactions entered into by the Group can complete on schedule pursuant to its terms and timetable or at all, the highly competitive nature of the oil and natural gas industries, the foreign operations, environmental liabilities and compliance requirements, and economic and political conditions in the People’s Republic of China. For a description of these and other risks and uncertainties, please see the documents the Company files from time to time with the United States Securities and Exchange Commission, including the 2013 Annual Report on Form 20-F filed on 17 April 2014. Several years ago, Lombard Odier decided to accelerate the expansion of its private client business in Europe, Asia and Switzerland, to sharpen the scope of its asset management business and to turn its technology platform into a profit centre. This long-term strategic evolution is showing steady progress and positions the firm for the future. As a result, today the Group is organised around three business lines with total client assets at the end of June 2014 of CHF 211.0 billion. Total client assets in the private clients business amounted to CHF 114.7 billion. Asset management clients invested CHF 47.8 billion. Technology and banking services clients entrusted an additional CHF 48.5 billion of assets to Lombard Odier. The Group’s consolidated income in the first six months was CHF 527.1 million and the operational cost base was CHF 429.7 million. Operating cost-income ratio for the Group stood at 80%, reflecting long-term investments in three strategic areas: the private client businesses in Europe, Asia and Switzerland; asset management expertise for institutional clients; and further developments into the technology platform that Lombard Odier provides to third parties. The consolidated balance sheet totals CHF 17.1 billion and is conservatively invested. The Group has no external debt and is well capitalised with a fully-loaded Basel III CET1 ratio of 23.8%, which is well above the FINMA’s 12% target. The Liquidity Coverage Ratio was 653%. One of the Group’s objectives is to remain one of the best capitalised banks in the world. Lombard Odier’s strong capitalisation is a foundation of its clients’ trust in the firm. Lombard Odier provides its private clients with a full range of bespoke services such as succession planning, discretionary and advisory portfolio management, tax reporting and custody services. With a view to remaining close to its clients’ needs, the Group is able to harness expertise and technology to provide wealth management solutions across the globe. Lombard Odier has developed significant private banking operations in Europe, Asia and Switzerland. Lombard Odier Investment Managers (LOIM), the Group’s asset management unit, seeks to deliver performance by identifying sources of both risk and return through absolute return, smart beta and high conviction strategies. LOIM offers its clients a range of innovative solutions including risk-based asset allocation, thematic equity investments, convertible bonds and absolute return as well as alternative strategies. Lombard Odier provides its technology and banking clients with its own IT and operational infrastructure as well as global custody and reporting services. The Group has a AA- Fitch rating with a “stable” outlook.